California follows Washington in adopting "anti-skimming" laws this month. 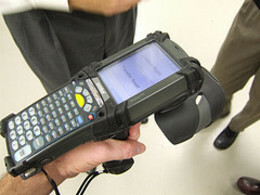 The new measure prohibits the unauthorized scanning of RFID data from ID cards or RFID devices. This is a step in the right direction, but it is a small one. Just because it's now illegal, skimming is not going to stop, unless the consumer does something to stop it from happening at the card level. The best way to protect the information on RFID cards and devices is to fix the issue at the root. This can be handled on several ways. One method is to only use cards that take advantage of mutual authentication between the card and reader, like an HID iCLASS card uses. This is a viable option since the reader and card only communicate if the reader is an appropriate HID iCLASS reader. The other much more acceptable fix-all method is to use a blocking device like a SkimSAFE to protect the RFID card's data from any and all reading, unless the cardholder wants it to be read. These are available in plastic card holder styles as well as small paper-thin envelopes that you simply slide the card into when you're not using it. These SkimSAFE holders do more than protect the card physically, because they don't allow any hacker or skimmer to "see" your information, no matter what kind of RFID is onboard the card. Want to protect any RFID card today? Read more on SkimSAFE cardholders here. Want to switch to a better class of RFID card? Read more on HID iCLASS cards here. No matter what you do, if you use RFID in your daily life, please take steps to protect yourself and your data. The law is a step in the right direction, but it's not a solution. 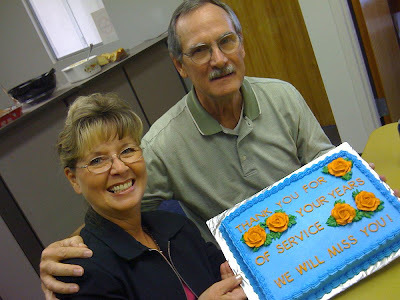 Ed and Diane Killough have been with Laminex together since 1972. That is 37 years of dedicated service. Ed actually came into the company through Rexham, a previous owner and came on-board 5 years earlier for a total of 42 years. This is remarkable. Next week they move off into retirement. Yesterday we honored Ed and Diane with a luncheon that included a photo show covering the years and the sharing of some favorite "Killough Moments". Our friends leave quite a legacy behind. Godspeed, Ed & Diane. You will be missed. 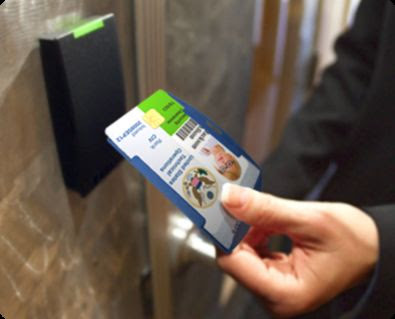 As of last week, 1,365,433 workers had enrolled in TWIC – the biometric card required for nearly 1.5 million port employees, longshoremen, mariners, truckers and others who require unescorted access to secure areas of ports. They need to have background checks before being issued cards with their biometric data and residency documentation. We say: At under $4 MSRP the our SkimSafe Badge Holders are a bargain to protect data skimming on TWIC cards. It seems more and more ports love the ease of use and elegant design. Happy Anniversary. You've come a long way Barcode! Google features a Code 128 bar code as its logo today, in honor of the bar code patent's 57th "anniversary." The creators were originally granted a patent on a bar code that consisted of concentric circular lines, instead of the parallel lines we are so familiar with today. Bar codes are printed or tagged on virtually every product we use each day. Bar codes in the ID industry have been largely used as tracking or accounting keys for measuring payroll time & attendance or access control to a building. Without the bar code, time tracking would still rely on analog time clocks that stamped the date and time, as well as clerks who tallied each card every week, and then adjusted employees' time sheets. Leading workforce and talent management companies like Kronos and ADP have migrated some users away from bar codes in recent years, favoring more expensive contactless technology. We say: Uhh...how square am I? 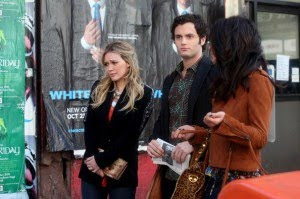 Has anyone over 18 years old ever really watched Gossip Girl?